Thanks for taking the time to type in what’s maybe the longest website name in the world. Everyone has a story about their walk with God. This is ours. We hope you get immense pleasure and amusement out of this traumatic, gut-wrenching experience that threatened to rip us apart. Enjoy! 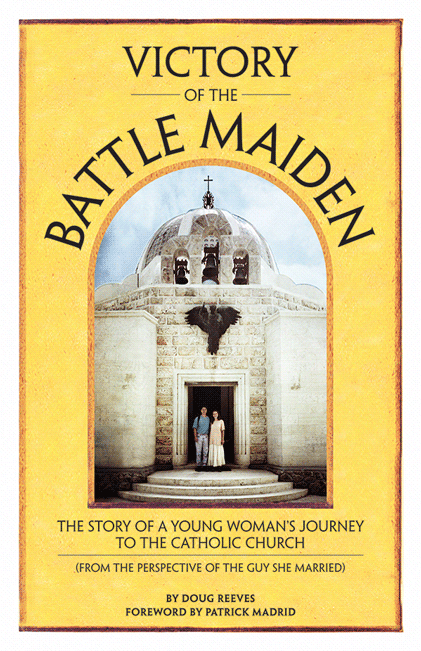 Mostly, though, it is our prayer that no matter what your faith and no matter where you are on your journey, this book will bring you just that much closer to God. So I thought of names like Victory Press (yawn), Full Court Press (too irrelevant) and about 50 other names. None of them excited me. Then I started daydreaming about the history of publishing, and thinking about Gutenberg (Johannes, not Steve) and his use of movable type around 1440. Then I thought how instrumental Gutenberg’s printing press had been in disseminating the Bible so that people could own their own personal copies, instead of having to visit a Catholic Church to read the one that was chained there (much like pens are chained at the bank). 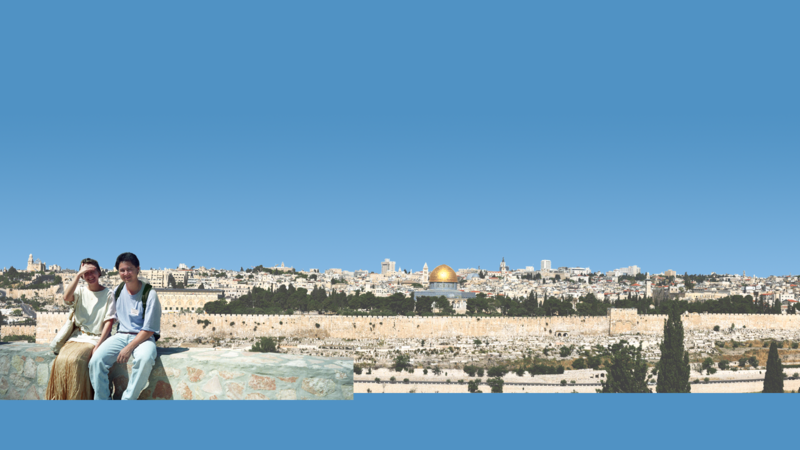 Then I thought of the manner in which the Bible had been produced up until that point in time, and found myself imagining all those countless, anonymous monks who had spent their lives copying the Bible for the first 1400 or so years of the Church’s existence. As I imagined them hunched over draftsman’s tables late at night, carefully dipping quill in ink, squinting at dim pages lit by a single flickering candle, I was filled with an immense sense of gratitude. 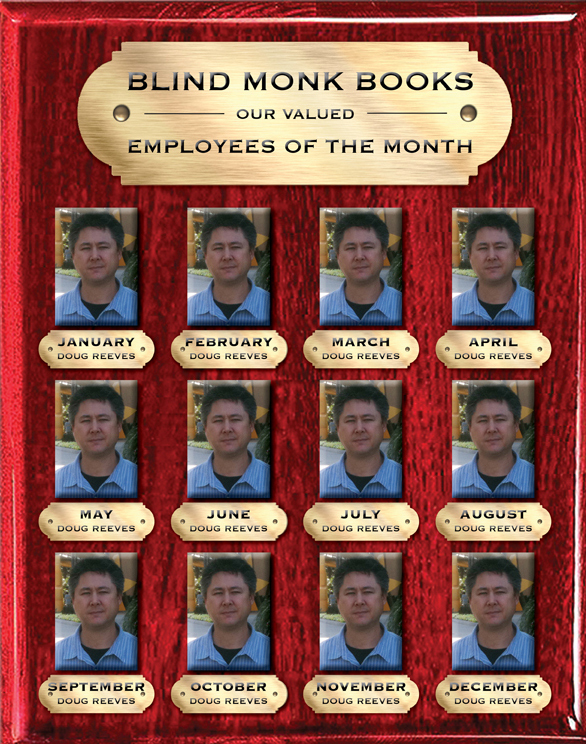 And I thought of Blind Monk Books. I don’t know if any monks literally went blind, and some may have, but for me, that’s beside the point. The point is that they spent their lives copying and spreading the written Word of God, purely out of love for God and their fellow man. 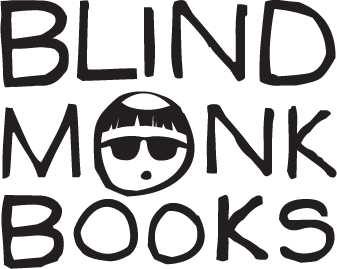 So to show my appreciation and to honor them: Blind Monk Books. It's always a tough decision every month. Congratulations to Doug! Good luck in the Employee of the Year competition. © Blind Monk Books. All rights reserved.